What is a small-wheel bike? A small-wheeler is a bike with wheels of 20″ or less. The common wheel sizes are 20″ and 16″. Small wheels are a popular choice for folding bikes, although not all small-wheelers fold. An advantage of small wheels is more space for luggage. When luggage is carried on a small wheeled bike, compared to one with 700c wheels or 26″ wheels, the bike will have a slightly lower centre of gravity, and therefore the handling will be more predictable. Other advantages include better manoeuvrability (particularly useful in traffic) and quicker acceleration (again, useful in traffic). Disadvantages of small wheels are that they do not absorb as much road buzz, meaning they can give a harsh ride and that potholes come as more of a shock. They also take more energy to keep them turning because they carry less momentum. As a result, they’re better suited to short journeys than long ones. For the same reason, small wheeled bikes can be hard work up hill in comparison with full size bikes of the same quality. Perhaps the best known historical example is the Raleigh Twenty, known in Britain as the ‘Raleigh Shopper’. The bike enthusiast’s small-wheeler is perhaps the Moulton, which has a demountable frame and suspension (demountable meaning the frame can be split into pieces for storage or transport). 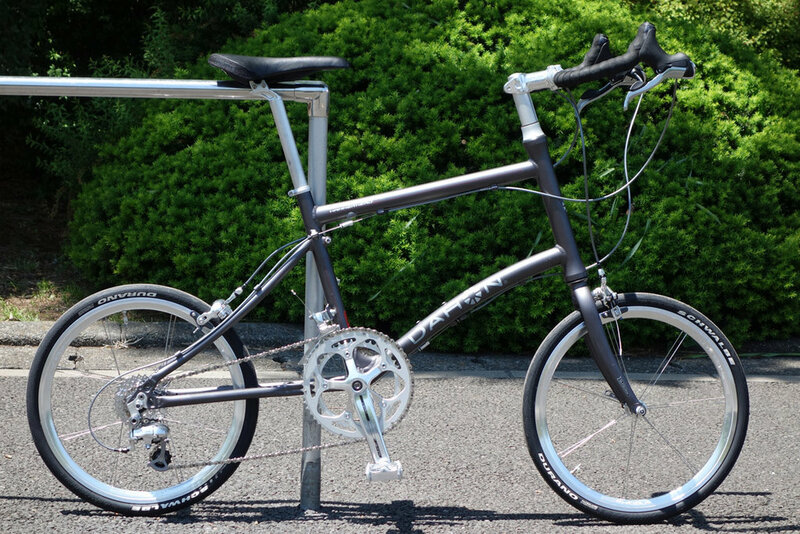 A modern small-wheeler that does not fold or come apart is the Dahon Hammerhead. Other examples are the Cannondale Hooligan (pictured at the top of this page) and the Giant Mini. There are many more examples from around the world, for instance, this small-wheel bike from Japan.